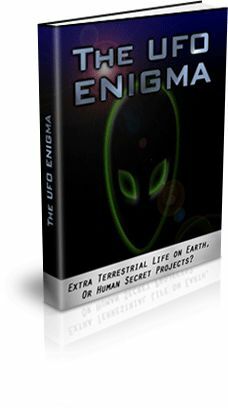 Whether you believe in aliens or not, you won’t fail to be astonished, amused and bemused by the stories, reports, anecdotes, accusations and counter-accusations that feature in this brand new 194-page ebook. What is the “Mothership” theory? What really happened at Roswell? Are we the result of genetic engineering? What are Transient Luminous Objects? Who are the Men in Black? These are just some of the many questions explored throughout the pages of this exciting and stimulating ebook. The Moon: What Is This Strange Thing Orbiting Earth? MARS: Monuments, cities, pyramids, roads and canals! The Big Picture: genetic engineering for 10,000 years? Missions To The Moon And Mars: has someone got there ahead of us? The Dogan: Did Ancient Astronauts Give Cosmic Knowledge To Primitive Africans? The Dinosaurs Had a 64 Million Year Head Start. Celestial Arks: the “Mothership” Theory and Warp Speed Thinking. The Rapture: are You Going to Heaven in a UFO? Abducted! Physical abduction and telepathic contact: are intelligence agencies responsible? Canadian Sighting: CE-3 landing witnessed by six, approached by two. Sighting! You have video tapes but did you really see it? Why You May Never See A Flying Saucer! Transient Luminous Objects (TLOs) in Southeast Asia During the Vietnam Conflict. Mystery Satellite: an enormous space station orbiting the Earth? GAO Opens New Investigation Into The Roswell Crash! Roswell: Another Point Of View. Moonbase Alpha: U.S. Army proposed building a base on the lunar surface in 1958! How Can We Find Out What’s On Those Secret Bases? MJ-12: The Top Secret Alien Research, Development and Intelligence Operation. The Grand Conspiracy: MJ-12 and government cover-ups for 50 years. The Great Deception: if we have a conspiracy on our hands, let’s get it right! Identified Flying Object: two dimension and multi-dimensional worlds. Lightships, Black Holes, Anti-Mass Fields: plenty of speculation. Missions To Mars – Will they make it? Will they survive? Perfect Cover: how “aliens” and UFOs are used to hide secret military projects. Men In Black: Menace Or Mirage? Thinking Objectively: striving for truth and the scientific method. The Intelligence Approach To UFOs. The Cooper Material: A Report into Alien Species and Alien Activity on Earth. Copyright © 2019 NewAgeWholesale.com. All Rights Reserved.